This past weekend marked the 176th General Conference of The Church of Jesus Christ of Later-day Saints. On Saturday evening President Gordon B. Hinckley addressed the priesthood holders of the Church (men and boys 12 years old and up). Mr. Hinckley stated that racism, even among Church members, still “lifts its ugly head.” Deseret Morning News reports Pres. Hinckley calls racism ‘ugly and unacceptable’. 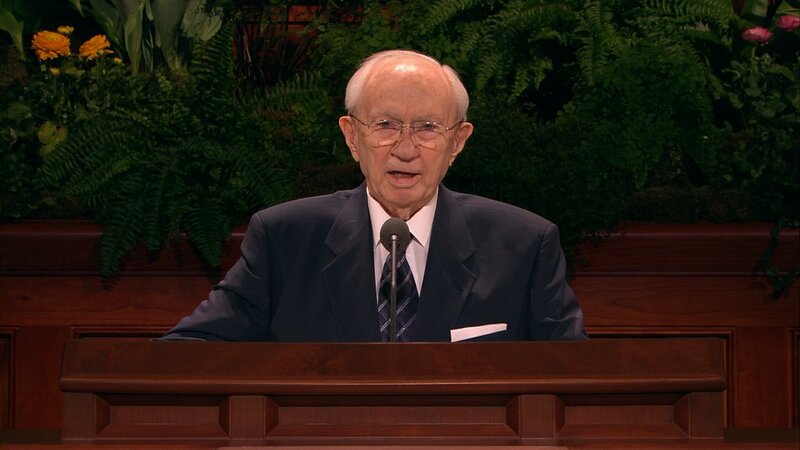 Of course, understanding that in 1978 the LDS Church removed its ban against people of African descent holding the priesthood, Mr. Hinckley’s audience would have been entirely comfortable giving his remarks a hearty “Amen!” But what about before 1978? Have the qualifications for being “a true disciple of Christ” changed along with the change in the priesthood ban? What are we to conclude considering last weekend’s teaching from Gordon B. Hinckley? Examining the teachings of these (and other) former LDS authorities, are we to understand Mr. Hinckley means to say these men were not “true disciples of Christ”? Oh-oh. I guess either way we try to make sense of Mr. Hinckley’s recent remark it leaves the LDS Church in a pretty poor light. I do agree, though, that racism is ugly and unacceptable. That’s one of many reasons I could never align myself with The Church of Jesus Christ of Latter-day Saints. I can understand why they need a prophet,( other then Christ), ‘to straighten out the lack of knowledge and wisdom’ of previous prophets.